Beta Factory Racing’s Steve Holcombe has maintained his overall lead in the Italian Enduro Championship with a runner-up result at round four in Pontremoli. Greeted with a wet and muddy fourth stop of the Italian series, Holcombe was keen to take advantage of his favoured conditions and deliver a winning result. Second fastest during Saturday night’s prologue saw the defending Italian champion get off to a solid start. Quickest on Sunday’s opening enduro and extreme test allowed the Beta rider to take control of the race lead. 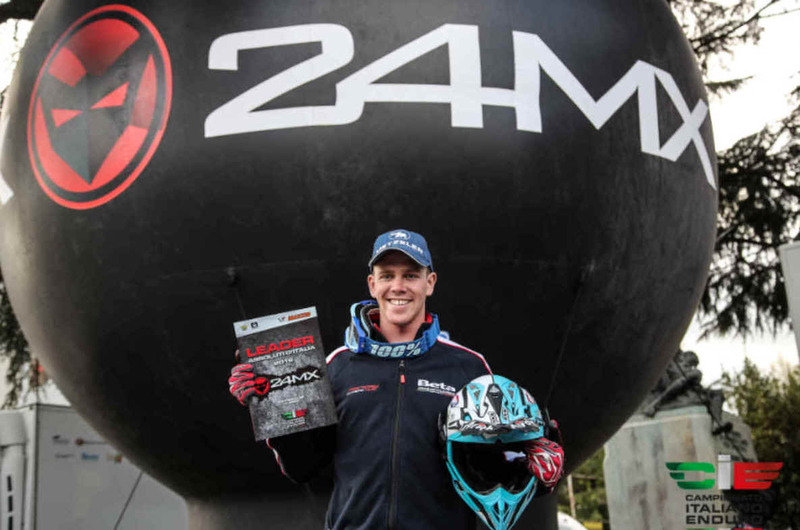 But as competitors ended lap two, the physically demanding muddy conditions began to take their toll on Holcombe, who was still suffering with the side effects of a small illness from the previous week. Despite giving his best and setting the fastest time in the penultimate cross test, he was unable to maintain his initial fast pace and had to settle for the runner-up result behind eventual winner Danny McCanney. After four rounds of nine, Holcombe leads the 2019 Italian Enduro Championship by 15 points.